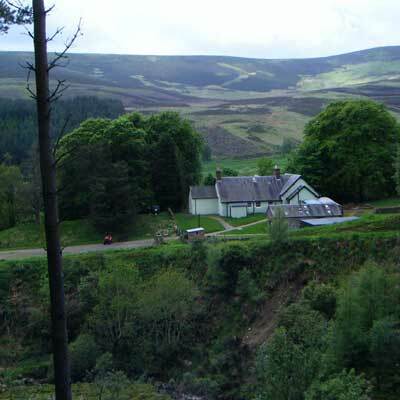 Prosen Hostel sits on the outskirts of tiny Glen Prosen village. Originally the village school house, the property has been sympathetically converted into an 18-bed hostel offering bunkhouse-style accommodation. With three 4-bed rooms and one 6-bed room, Glenprosen Hostel is ideal for families, groups of friends and small organisations. Exclusive use rentals are available for large groups but smaller parties are very welcome and can book individual rooms or bunks. Use of all the facilities, including internet access and Wi-Fi, is available to all guests during their stay and linen is provided. A ‘green’ hostel, the property is insulated throughout with sheep’s wool to keep the cold at bay. The modern kitchen is fully-equipped and has a fridge and freezer. The large and welcoming living area has a wood-burning stove, comfy sofas to relax in, table-seating for 18, television – and a red squirrel viewing area! There are five showers and three toilets, as well as a walk-in disabled shower and toilet. Hot water is in plentiful supply, there’s a laundry room, a drying room and sheds where bikes and other outdoor equipment can be kept. Prosen Hostel sits on its own and is surrounded by beautiful, untamed countryside. The hostel has a large lawn with a BBQ and, by prior arrangement, camping is permitted in the grounds.